NADIR invites the research Community for proposals to bid for funding to carry out projects within the facilities participating in the network. 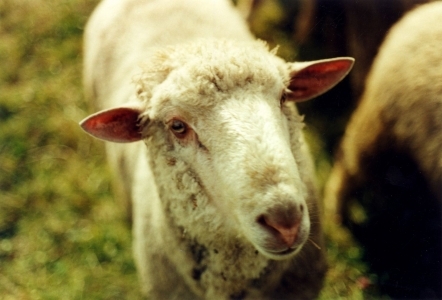 Through this call, Nadir will provide access to researchers proposing experiments to be conducted in the different network facilities Projects can involve research on any of the livestock species (cattle, pigs, chickens, goat, sheep and fish) and may use live animals including laboratory species (e.g. mice) or cell lines. Applicants should note that a collection of cell lines is available through the NADIR project, which are available to the research community (see www.nadir-project.eu). Priority will be given to projects focused on a disease or pathogen requiring BSL3 containment but protocols requiring specialized infrastructure at a lower level of containment will also be considered. Any project receiving NADIR support requires the participants to communicate results to NADIR, the EC and the scientific community through classical means, i.e. project reports, congress communications and scientific publications. An independent steering group of experts in the fields of disease research animal and animal experimentation will review the proposals. They will take into account the scientific quality, novelty, the feasibility and the ethical soundness of the proposal. Other selection criteria will include the expertise of the applicants, and the duration of the work. All selected projects must be achieved by01-02-2013to fall within the funding period of the NADIR project by the EU Commission. Access users can benefit from access free of charge. Each facility may have a total of about 200.000 Euros available through NADIR, for 5-10 projects, or more according to the nature, duration and complexity of each experiment. The access free of charge will exclusively be composed of access units proposed by each partner (see individual facilities description for the access limi (see individual facilities description for the number of available access). NADIR will also cover the research group(s) travelling expenses to the selected facility depending on the proposed protocol. An average of two persons from each project is expected to participate in each experiment with travel to a foreign country (see each facility description for more details about costs reimbursement).